Prospect, Grundris und Gegend der Polnischen vesten Reichs und Handels-Stadt Dantzig und ihren Werder. Nuremberg, c.1720. 495 x 580mm. Original colour with later additions. 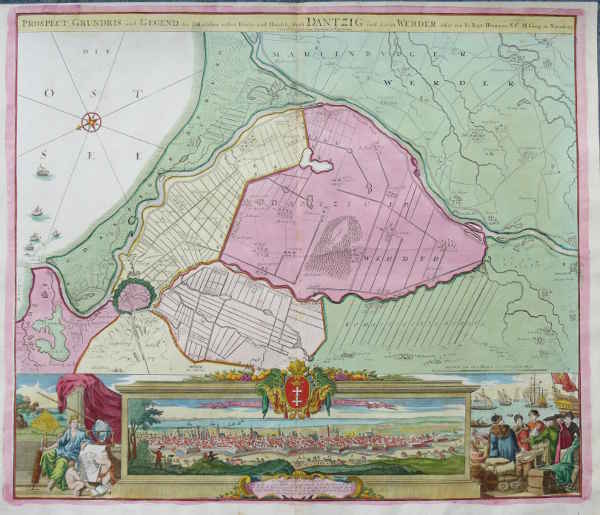 A map of the environs of Gdansk, with a prospect underneath, flanked with figures representing the culture and wealth of the city.